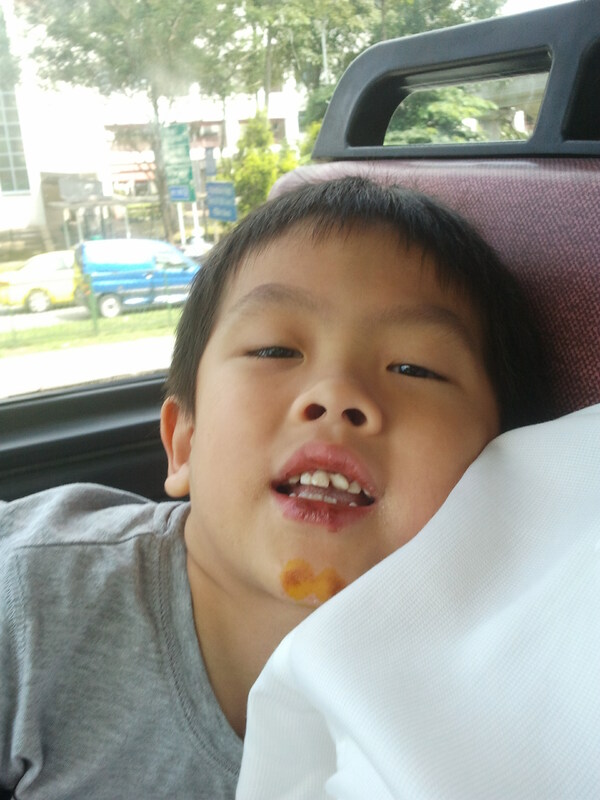 My son, YH broke his 2 front teeth last weekend. He was playing catching with his cousins and sister, with his dad keeping a watch on his…ipad.. and raising his head every now and then. Suddenly, cries of pain were heard and blood stained YH’s mouth and soon both his palms were bloody too. It happened that YH charged through the bush like a little bull to catch his cousins, and somehow tripped over and knocked his 2 front teeth. One of the teeth bent inwards, while the other was extremely shaky. His lips were bruised and poor boy, it was definitely a rub on the wound that he had a couple of ulcers in the mouth prior to this incident and was already facing much difficulty eating. Poor boy! When he was back to his cousin’s house, he was sobbing so uncontrollably, I didn’t even think this sobbing belonged to my son. I was with the baby all the while and missed the entire episode. Kel was good in coaxing YH to wash his blood-stained mouth, but not before a long hour had passed. When he had stopped his hysteria and finally fell asleep out of exhaustion, we took a peep at his half-open mouth to assess the damage. Well, there was only one thing to do, that is, to bring him to my friend who is a dentist and have her extract out his 2 upper central incisors. The next day, my dentist friend slotted us into her busy appointment schedule. YH was a brave boy. 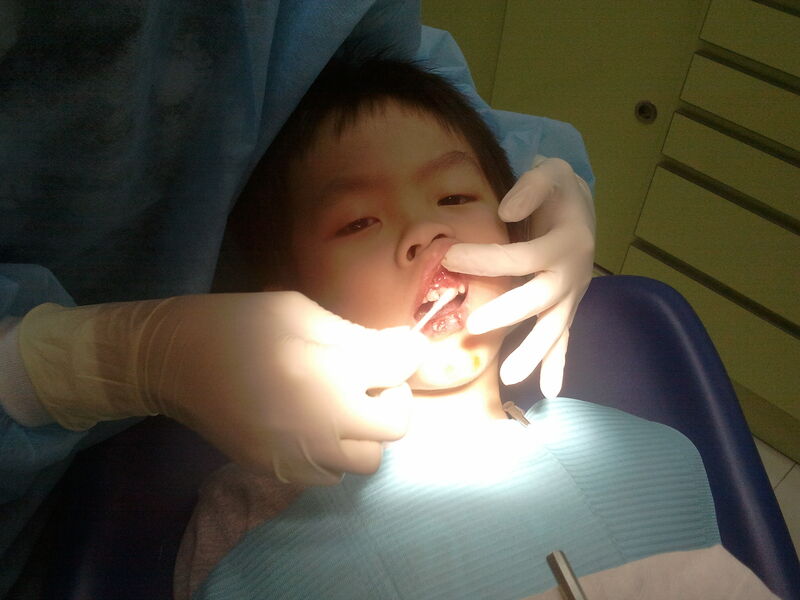 While sitting on the dentist chair, he never flinch for once, and to consider this was his first dental experience! After the extraction, however, he refused to bite on the cotton gauze which was meant to stop the bleeding, for fear it would be painful even though we all knew the most painful part was over. It was only then he cried on his dad’s lap. My heart went out to him. The lucky thing is that the permanent teeth seemed to have a long way to go before they’ll be out. Hence, there is less chance of misalignment of the new teeth due to the knock impact. Well, perhaps no one knows, but it is me who seem to be the most affected by this whole incident of YH losing his 2 front incisors. In fact, I must have had that worried look on my face because YH saw through me with my heartache. YH: Mummy, I know what you are thinking about. You must be thinking I am so pitiful. I lunged forward and hugged him tightly, with tears in my eyes. Though, I take comfort in knowing he is lucky to be losing only his milk teeth, I still feel that to lose his teeth unnaturally is like having some part of him amputated. I wish to turn back the clock. I wish I had not let him go and play with his cousins. I wish I had been there and things might turn out differently had I paid attention to how he played. 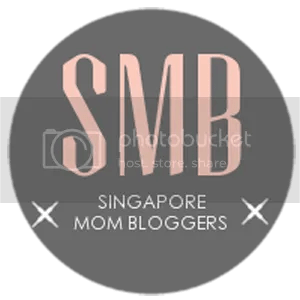 But we all know kids being kids, will fall and hurt, and we can’t be by their side all the time nor prevent accidents from happening even with our eyes glued to them every second. And I know it must be a Mummy’s thing to feel heartache and Daddy’s thing to feel resilience in YH. He shrugged and remarked that YH will now have a courageous story to be retold again and again. Yh is by nature a cheerful boy. We all know he has low threshold of pain, but we also learnt that he is a brave boy. The moment the cotton gauze was taken out of his mouth after 45 minutes, he was all smiles and running all over again with his sister. 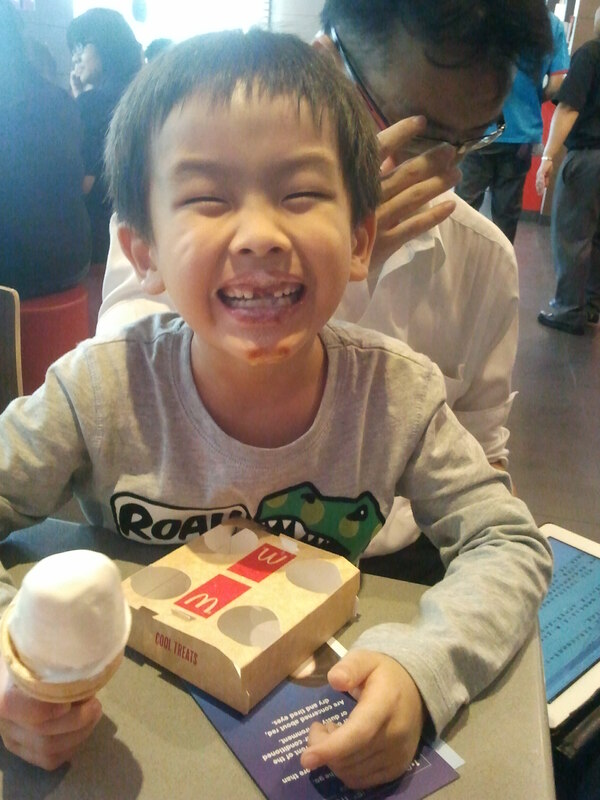 And, we treated him to his favourite Mac Donald’s ice-cream.